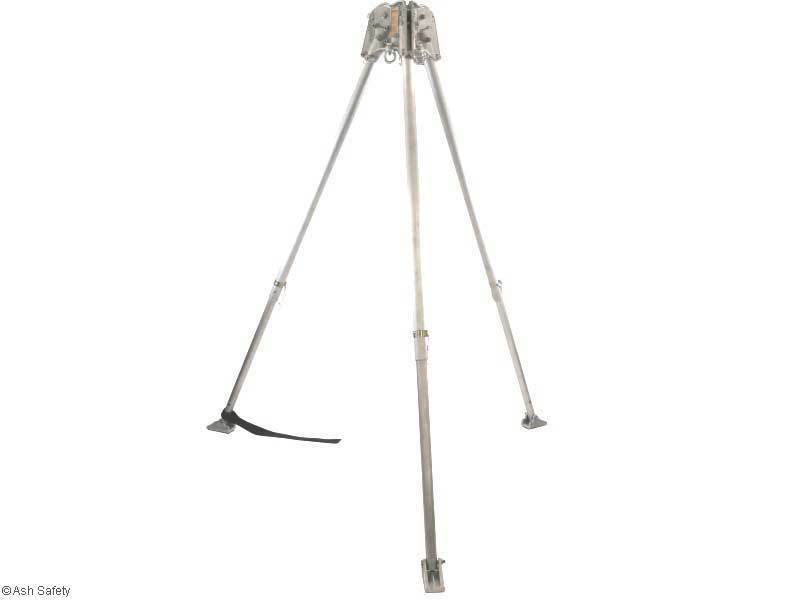 The TO3 is a perfect tripod to attach two men to and be able to fit a secondary back up to a purpose made connection point. 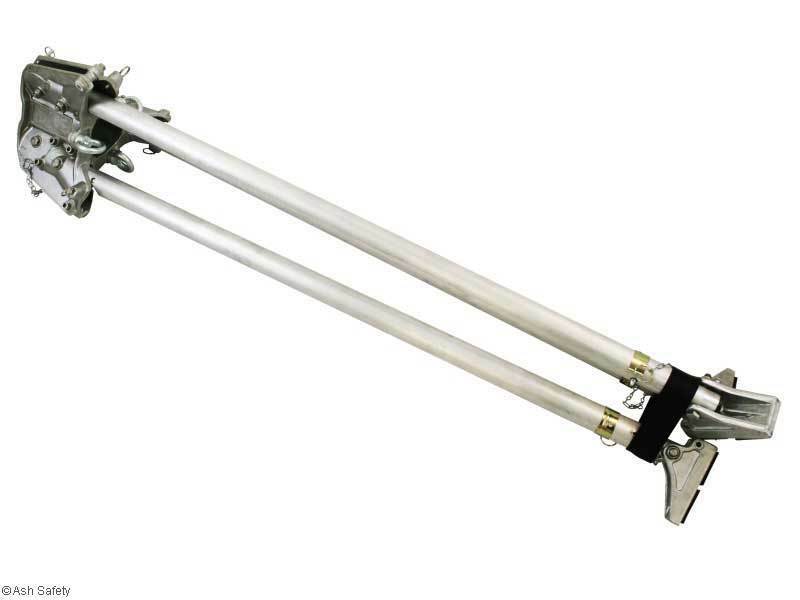 The TO3 actually has three winch dedicated roller points and brackets can be fitted to all three of the legs making it incredibly versatile in confined spaces and for rescue. 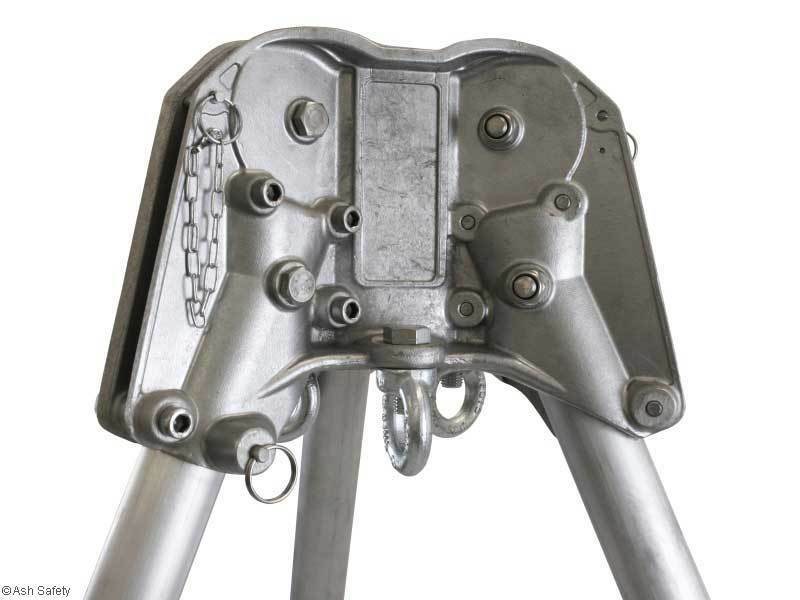 The tripod though is only rated for two men but allows for secondary backups of fall arrest blocks using either bracket mounts or any of the three location eyes at the head of the tripod. Weighing only 19.4kgs without brackets means it is possible to be carried by one person.